Syrah is the grape variety which produces the great red wines of the Northern Rhône. It is known as Shiraz in Australia and South Africa although it has no association with the Persian city of the same name despite historical accounts from travellers long ago that documented both dry and sweet white wines from that part of what is now modern-day Iran. 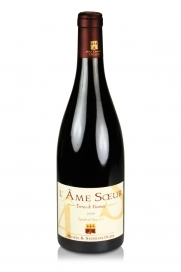 Syrah is the most widely planted red grape variety in France. Outside of the Northern Rhône it is widely planted in the Languedoc and the Southern Rhône where it is an important constituent of both Châteuneuf du Pape and GSM (Grenache, Syrah, Mourvèdre) red wine blends. It is now the world's sixth most planted wine grape variety, a fact that can be attributed to a combination of factors, not least its popularity with wine drinkers due to its delicious flavour profile, versatility with a wide range of foods, including spicy dishes, and its propensity to make wines with a good level of alcohol. Syrah / Shiraz produces deeply coloured, rich, opaque wines that, if claims that it was known to the ancient Greeks are true, may have inspired Homer's reference to "the wine-dark sea". It can produce absolute beasts of wines that age and evolve over decades especially in the Northern Rhône and the Barossa Valley in Australia. 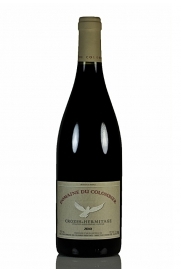 It thrives in hot conditions - the literal translation of Côte Rotie, generally acclaimed as producing the very best Syrah wines anywhere, being the "roasted slope". In France its wines have flavours of dark fruits, especially blueberry and blackberry, with pronounced black pepper notes along with black olive, herb, licorice and earthy tones. On the nose there is frequently a whiff of rubber, leather or black coffee, sometimes something floral. 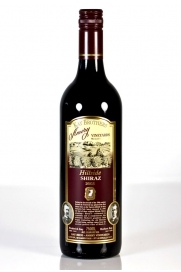 The Barossa style is rather more voluptuous adding chocolate, cocoa and minty qualities as well high alcohol by volume. Whether old or new world Syrah / Shiraz wines have a lovely savoury finish. It is quite often blended with Cabernet Sauvignon to provide a bit more firmness in the mid-palate to exhuberantly juicy wines. Large plantings are also to be found in South Africa, Spain, Italy, Chile, Argentina, New Zealand as well as California and Washington States in the USA. 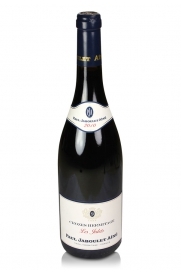 The Syrah grape has a long association with the Northern Rhône where it is thought that the Romans first grew it near the town of Vienne in what is now the appellation of Côte Rotie. 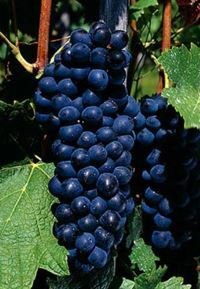 The writings of Roman commander Pliny the Elder refer to a grape variety called Allobrogica, thought to have been Syrah. Indeed some wine historians have postulated that the history of the Syrah grape predates that by some 500 years and that it was known to the Ancient Greeks. Research conducted at the University of California, Davis, studied its DNS profile concluding that Syrah is the result of a cross between two ancient and very rare grape varieties, namely the dark-skinned Dureza and the white Mondeuse Blanche. Both had formerly been planted in the Northern Rhône where cross-fertilisation is likely to have occurred. The qualities of Syrah were well known amongst wine-producers and connoisseurs alike. 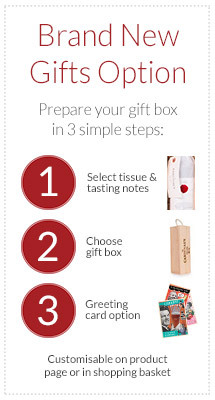 A common practice in the 18th and 19th centuries was for Bordeaux wine merchants, a.k.a. négociants, to add Hermitage wines to their claret in order to beef it up. In the 1831 Syrah was planted in South Australia where it thrived in the warm conditions and was marketed as Hermitage after the then best known Northern Rhône wine. The name Shiraz was adopted in the 1980s due to EU legislation protecting the names of origin of European wines. The small, dark, thick-skinned Syrah / Shiraz grape produces some of the most highly-valued and sought after wines in the world. It performs at its glorious best in poor, well-drained soils in elevated vineyards. The two most famous French Syrah wines are made in the appellations of Hermitage and Côte Rotie in the northern section of the Rhône valley. Hermitage has always enjoyed a considerable reputation but it is sobering to think that, until only a few decades ago, it was barely worth the growers' back-breaking efforts on the steep terraces of Côte Rotie such was the market's lack of interest in its wines. The painstaking attention to detail both in the vineyard and winery by Etienne Guigal started the recrudescence of this appellation's reputation. Robert Parker's discovery of his 3 single vineyard wines, La Mouline, La Landonne and La Turque (collectively known as the La Las) precipitated an explosion of interest in these high-end wines. With the judicious addition of a little of the heady white Viognier grape to the blend to add perfume Syrah now had a superstar producer with prices for new releases of these wines reaching hundreds of pounds a bottle. Renewed interest in the wines of the appellation has encouraged a new generation of growers throughout the Rhône and very good, and rather more affordable, wines are being produced in St. Joseph, Cornas and Crozes-Hermitage. In Australia many deliciously ripe Shiraz wines are produced from grapes grown in the Barossa Valley. Torbreck is probably the best known of these with an enviable reputation gained in a comparatively short period of time. McClaren Vale is also the source of very good quality Shiraz with the Kay Brothers wines at the top of the tree and also d'Arenberg's Footbolt Shiraz being a fine example. Australian négociants Two Hands has also attracted the critics' plaudits with wines from both of these regions. Elsewhere in the "New World" California is the source of some very good Syrah from vineyards in Paso Robles, Santa Barbara, Napa Valley and Sonoma. Columbia Valley in Washington State is also responsible for some quality wines. Argentina and Chile provide good examples at a very good price level. Syrah's versatility with food was mentioned above. Wines made from Syrah / Shiraz partner a very wide range of meat dishes where it is not at all over-awed by big, bold flavours. Stews, casseroles, steaks and game are all good matches even where a strongly-flavoured sauce accompanies the dish, steak-Roquefort being a good example. Spice doesn't faze these wines either - try one with a good curry, you may be very surprised by how successful this match can be. The smoky delights of a barbecue provide a good pairing too as does grilled mediterranean vegetables. Softer, ripe cheeses work better than the hard, mature cheeses that favour a good bottle of red Bordeaux.